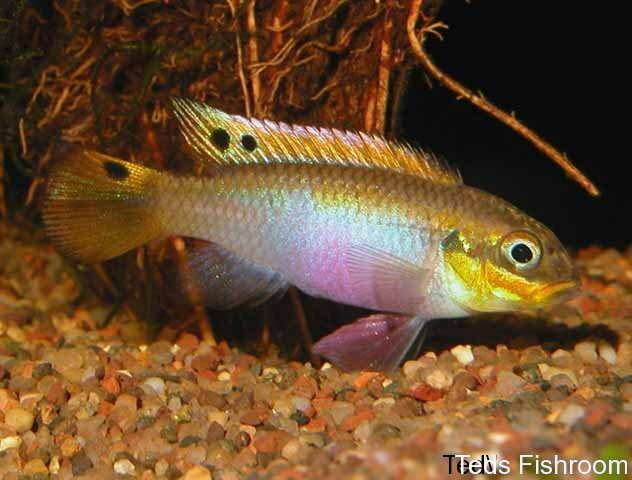 Biologists from the University of Bonn have discovered that the dwarf cichlid Pelvicachromis taeniatus can perceive light in the near-infrared range, a phenomenon previously considered unlikely at best and which apparently helps them hunt prey in shallow African rivers. 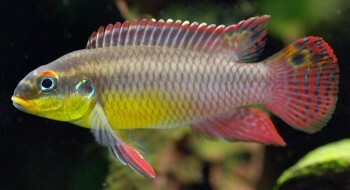 A research team from the Institute for Evolutionary Biology and Ecology, University of Bonn, headed by Prof. Dr. T. C. M. Bakker has been studying the biology of the fish for a number of years and investigated its ability to see in the infrared range using a classic prey choice experiment. 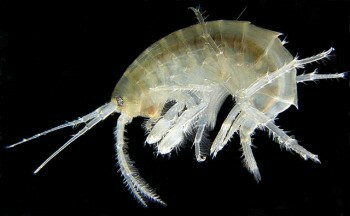 Wild P. taeniatus feed on small crustaceans such as freshwater shrimp which naturally reflect near-infrared radiation, and these were offered to the fish in two separate chambers placed in front of their aquarium, one of which was covered with a filter blocking infrared wavelengths. The other chamber was covered with a filter that would let only infrared light pass and the room lit only with infrared lamps. “Consequently, the fish were only able to see the shrimp in the chamber with the near-infrared light range” explains Dr. Sebastian Baldauf, one of the scientists involved in the study. In all cases the fish spent considerably more time in front of the chamber that allowed infrared light to pass. “The fish detect their prey based on infrared radiation alone”, says Dr. Baldauf. “Until now, physiologists thought that noise levels in the near-infrared range were too high to allow visual perception.” The experiment therefore demonstrates for the first time that a fish is capable of perceiving light in a wavelength range above 780 nanometers using only its eyes. It’s quite likely that other animals have also evolved this ability for hunting or orientation, and the researchers now want to study the physiology of infrared vision more closely. Infrared radiation in partner selection? When performing colour measurements on the fish the researchers found that certain parts of their bodies reflect light in the near-infared range. “We found that females reflect infrared radiation from their belly region, and males from their fins”, says Dr. Baldauf.